CARFAX 1-Owner, Extra Clean. Glacier White exterior and Charcoal interior, SV trim. FUEL EFFICIENT 33 MPG Hwy/26 MPG City! Heated Seats, Back-Up Camera, Alloy Wheels, Power Liftgate. AND MORE! Power Liftgate, Heated Driver Seat, Back-Up Camera. Rear Spoiler, MP3 Player, Aluminum Wheels, Remote Trunk Release, Keyless Entry, Privacy Glass, Steering Wheel Controls. Nissan SV with Glacier White exterior and Charcoal interior features a 4 Cylinder Engine with 170 HP at 6000 RPM*. Serviced here, Free Vehicle History Report, Remote Start, Just Arrived, CLEAN CARFAX. Edmunds.com's review says Seventy cubic feet of cargo space helps make the Rogue one of the more versatile small SUVs on the market, while upscale cabin materials give it a classier feel than its price might suggest.. Great Gas Mileage: 33 MPG Hwy. CARFAX 1-Owner, Extra Clean. SV trim, Glacier White exterior and Charcoal interior. EPA 33 MPG Hwy/26 MPG City! Heated Seats, Back-Up Camera, Alloy Wheels, Power Liftgate. CLICK NOW! Power Liftgate, Heated Driver Seat, Back-Up Camera Rear Spoiler, MP3 Player, Aluminum Wheels, Remote Trunk Release, Keyless Entry, Privacy Glass, Steering Wheel Controls. Nissan SV with Glacier White exterior and Charcoal interior features a 4 Cylinder Engine with 170 HP at 6000 RPM*. Serviced here, Free Vehicle History Report, Remote Start, Just Arrived, CLEAN CARFAX. SV trim. CARFAX 1-Owner, Extra Clean. FUEL EFFICIENT 33 MPG Hwy/26 MPG City! Heated Seats, Back-Up Camera, Alloy Wheels, Power Liftgate, Serviced here, Remote Start, Just Arrived, CLEAN CARFAX. SEE MORE! Power Liftgate, Heated Driver Seat, Back-Up Camera Rear Spoiler, MP3 Player, Aluminum Wheels, Remote Trunk Release, Keyless Entry, Privacy Glass, Steering Wheel Controls. Nissan SV with Caspian Blue Metallic exterior and Charcoal interior features a 4 Cylinder Engine with 170 HP at 6000 RPM*. Serviced here, Remote Start, Just Arrived, CLEAN CARFAX. Edmunds.com explains Seventy cubic feet of cargo space helps make the Rogue one of the more versatile small SUVs on the market, while upscale cabin materials give it a classier feel than its price might suggest.. Great Gas Mileage: 33 MPG Hwy. REDUCED FROM $25,990!, EPA 21 MPG Hwy/15 MPG City! CARFAX 1-Owner, Extra Clean. SV trim. Back-Up Camera, 4x4, Bluetooth, iPod/MP3 Input, Aluminum Wheels, [A93] BED LINER/TRAILER HITCH PACKAGE... Trailer Hitch, Bed Liner SEE MORE! BED LINER/TRAILER HITCH PACKAGE Bed Liner, Trailer Hitch (PIO). Nissan SV with Cayenne Red Metallic exterior and Steel interior features a V6 Cylinder Engine with 261 HP at 5600 RPM*. Serviced here, Free Vehicle History Report, Just Arrived, CLEAN CARFAX. Was $25,990. This Frontier is priced $1,400 below NADA Retail. This vehicle is located at Gates Nissan of Richmond. 4098 Atwood Dr. Richmond KY 40475 Pricing analysis performed on 4/12/2019. Horsepower calculations based on trim engine configuration. Fuel economy calculations based on original manufacturer data for trim engine configuration. Please confirm the accuracy of the included equipment by calling us prior to purchase. SV trim. $1,200 below NADA Retail!, EPA 21 MPG Hwy/15 MPG City! CARFAX 1-Owner, Extra Clean. Back-Up Camera, 4x4, Bluetooth, iPod/MP3 Input, Hitch, [A93] BED LINER/TRAILER HITCH PACKAGE... Aluminum Wheels, Bed Liner. CLICK ME! Back-Up Camera, iPod/MP3 Input, Bluetooth MP3 Player, 4x4, Aluminum Wheels, Keyless Entry, Privacy Glass, Steering Wheel Controls, Child Safety Locks. BED LINER/TRAILER HITCH PACKAGE Bed Liner, Trailer Hitch (PIO). Nissan SV with Arctic Blue Metallic exterior and Steel interior features a V6 Cylinder Engine with 261 HP at 5600 RPM*. Serviced here, Free Vehicle History Report, Just Arrived, CLEAN CARFAX. Edmunds.com's review says Engine torque and response are better than in rivals.. Great Gas Mileage: 21 MPG Hwy. Extra Clean, CARFAX 1-Owner. $1,200 below NADA Retail!, FUEL EFFICIENT 21 MPG Hwy/15 MPG City! Back-Up Camera, 4x4, Bluetooth, iPod/MP3 Input, Trailer Hitch, [A93] BED LINER/TRAILER HITCH PACKAGE... Aluminum Wheels, Bed Liner AND MORE! FUEL EFFICIENT 33 MPG Hwy/25 MPG City! CARFAX 1-Owner, GREAT MILES 3,004! Moonroof, Heated Leather Seats, Dual Zone Climate Control, Smart Device Integration, Hands-Free Liftgate, Keyless Start, Back-Up Camera, Aluminum Wheels CLICK ME! Leather Seats, Power Sunroof, Heated Driver Seat, Back-Up Camera, Satellite Radio, Onboard Communications System, Aluminum Wheels, Keyless Start, Dual Zone Climate Control, Smart Device Integration, Hands-Free Liftgate, Blind Spot Monitor, Cross-Traffic Alert, Heated Seats, Heated Leather Seats MP3 Player, iPod Input, Keyless Entry, Remote Trunk Release, Child Safety Locks. This vehicle is located at Toyota South 961 Four Mile Rd Richmond KY 40475 Fuel economy calculations based on original manufacturer data for trim engine configuration. Please confirm the accuracy of the included equipment by calling us prior to purchase. CARFAX 1-Owner. LX V6 trim. WAS $21,990, PRICED TO MOVE $1,000 below NADA Retail!, FUEL EFFICIENT 25 MPG Hwy/18 MPG City! Third Row Seat, Satellite Radio, Bluetooth, Back-Up Camera, Aluminum Wheels, All Wheel Drive. CLICK NOW! Third Row Seat, All Wheel Drive, Back-Up Camera, Satellite Radio, Bluetooth, Aluminum Wheels Rear Spoiler, MP3 Player, iPod Input, Privacy Glass, Keyless Entry. Reduced from $21,990. This Sorento is priced $1,000 below NADA Retail. This vehicle is located at Toyota South 961 Four Mile Rd Richmond KY 40475 Pricing analysis performed on 4/19/2019. Fuel economy calculations based on original manufacturer data for trim engine configuration. Please confirm the accuracy of the included equipment by calling us prior to purchase. Extra Clean, CARFAX 1-Owner, GREAT MILES 14,911! EPA 32 MPG Hwy/25 MPG City!, $1,000 below NADA Retail! S trim. Satellite Radio, iPod/MP3 Input, Back-Up Camera, [B93] CHROME REAR BUMPER PROTECTOR, All Wheel Drive. CLICK NOW! Back-Up Camera, Satellite Radio, iPod/MP3 Input. Rear Spoiler, MP3 Player, All Wheel Drive, Keyless Entry, Remote Trunk Release, Steering Wheel Controls, Child Safety Locks. CHROME REAR BUMPER PROTECTOR. Nissan S with Brilliant Silver exterior and Charcoal interior features a 4 Cylinder Engine with 170 HP at 6000 RPM*. Serviced here, Non-Smoker vehicle, Free Vehicle History Report, Just Arrived, CLEAN CARFAX. This Rogue is priced $1,000 below NADA Retail. This vehicle is located at Gates Nissan of Richmond. 4098 Atwood Dr. Richmond KY 40475 Pricing analysis performed on 3/29/2019. Horsepower calculations based on trim engine configuration. Fuel economy calculations based on original manufacturer data for trim engine configuration. Please confirm the accuracy of the included equipment by calling us prior to purchase. REDUCED FROM $17,459!, PRICED TO MOVE $1,600 below NADA Retail!, EPA 26 MPG Hwy/20 MPG City! Clean, CARFAX 1-Owner. 2.4L trim. Back-Up Camera, iPod/MP3 Input, Bluetooth, OPTION GROUP 01, Aluminum Wheels, All Wheel Drive. READ MORE! Back-Up Camera, iPod/MP3 Input, Bluetooth. Rear Spoiler, MP3 Player, All Wheel Drive, Aluminum Wheels, Privacy Glass, Keyless Entry, Child Safety Locks. OPTION GROUP 01 standard equipment. Hyundai 2.4L with Mineral Gray exterior and Gray interior features a 4 Cylinder Engine with 185 HP at 6000 RPM*. Serviced here, Free Vehicle History Report, Just Arrived, New Windshield Wipers, CLEAN CARFAX. Edmunds.com's review says The Santa Fe Sport has an easygoing character, with supple gas pedal movement, light steering and easy-to-modulate brakes.. Great Gas Mileage: 26 MPG Hwy. Was $17,459. This Santa Fe Sport is priced $1,600 below NADA Retail. GREAT MILES 12,293! EPA 39 MPG Hwy/28 MPG City! MIDNIGHT BLACK METALLIC exterior and BLACK interior, SE trim. Smart Device Integration, Lane Keeping Assist, Bluetooth, Alloy Wheels, Back-Up Camera. AND MORE! Back-Up Camera, Bluetooth, Aluminum Wheels, Smart Device Integration, Lane Keeping Assist Rear Spoiler, MP3 Player, iPod Input, Remote Trunk Release, Keyless Entry. Toyota SE with MIDNIGHT BLACK METALLIC exterior and BLACK interior features a 4 Cylinder Engine with 203 HP at 6600 RPM*. CARFAX 1-Owner, GREAT MILES 17,199! EPA 30 MPG Hwy/24 MPG City! Heated Seats, NAV, Brake Actuated Limited Slip Differential, Blind Spot Monitor, Cross-Traffic Alert, Alloy Wheels, [U02] SV TECHNOLOGY PACKAGE, All Wheel Drive AND MORE! All Wheel Drive, Aluminum Wheels, Dual Zone Climate Control, Brake Actuated Limited Slip Differential, Blind Spot Monitor, Cross-Traffic Alert Rear Spoiler, Keyless Entry, Remote Trunk Release, Privacy Glass, Steering Wheel Controls. SV TECHNOLOGY PACKAGE NissanConnect w/Navigation, Mobile Apps & Services, Remote Engine Start System, intelligent climate control, Heated Leather Wrapped Steering Wheel, Leather-Wrapped Shift Knob, Intelligent Cruise Control (ICC), Fog Lights (X01), Intelligent Around View Monitor (I-AVM), Quick Comfort Heated Front Bucket Seats, Heated Outside Mirrors, Radio: AM/FM/CD/AUX NissanConnect w/Navigation, Nissan navigation system w/voice guidance, 5 color monitor, 6 speakers, USB connection port for iPod interface and other compatible devices, Bluetooth hands-free phone system, streaming audio via Bluetooth, hands-free text messaging assistant, SiriusXM satellite radio and Siri Eyes Free. Nissan SV with GUN METALLIC exterior and Charcoal interior features a 4 Cylinder Engine with 141 HP at 6000 RPM*. CARFAX 1-Owner, Spotless, GREAT MILES 13,109! PRICED TO MOVE $2,100 below NADA Retail!, EPA 32 MPG Hwy/25 MPG City! SL trim. NAV, Heated Leather Seats, Alloy Wheels, [B93] CHROME REAR BUMPER PROTECTOR. AND MORE! Leather Seats, Navigation, Heated Driver Seat Rear Spoiler, MP3 Player, Onboard Communications System, Aluminum Wheels, Privacy Glass, Remote Trunk Release, Keyless Entry. CHROME REAR BUMPER PROTECTOR. Nissan SL with Magnetic Black exterior and Charcoal interior features a 4 Cylinder Engine with 141 HP at 6000 RPM*. Serviced here, Non-Smoker vehicle, Free Vehicle History Report, Remote Start, CLEAN CARFAX. Edmunds.com explains It has good maneuverability in traffic and tight quarters due to its smaller-than-Rogue size.. Great Gas Mileage: 32 MPG Hwy. This Rogue Sport is priced $2,100 below NADA Retail. CARFAX 1-Owner. PRICE DROP FROM $28,990, EPA 32 MPG Hwy/25 MPG City! Heated Leather Seats, Moonroof, Premium Sound System, Satellite Radio, Onboard Communications System, Back-Up Camera, All Wheel Drive, Aluminum Wheels READ MORE! Leather Seats, Power Sunroof, All Wheel Drive, Power Liftgate, Heated Driver Seat, Heated Rear Seat, Back-Up Camera, Premium Sound System, Satellite Radio, Onboard Communications System, Aluminum Wheels, Keyless Start, Dual Zone Climate Control, Smart Device Integration, Blind Spot Monitor Rear Spoiler, MP3 Player, iPod Input, Remote Trunk Release, Privacy Glass. 1 Owner Clean CarFax, No Accident or Damage Reported, Keyless Start, Bluetooth, Lane Keeping Assist, Dual Zone A/C, Turbo Charged Engine, Aluminum Wheels, iPod/MP3 Input, Back-Up Camera. Serviced Here, Non-Smoker Vehicle, Local Trade, We Did A 182 Multi-Point Inspection, Service Records Available, Originally Bought Here, Garage Kept, Call To Set Up Your Test Drive (859)779-1000. 1 Owner Clean CarFax, No Accident or Damage Reported, Serviced Here, Non-Smoker Vehicle, Local Trade, We Did A 182 Multi-Point Inspection, Service Records Available, Originally Bought Here, Garage Kept, Call To Set Up Your Test Drive (859)779-1000. Back-Up Camera, Turbocharged, iPod/MP3 Input, Bluetooth, Aluminum Wheels, Keyless Start, Dual Zone A/C, Lane Keeping Assist. MP3 Player, Keyless Entry, Child Safety Locks, Steering Wheel Controls, Electronic Stability Control. Honda LX 1.5T with Lunar Silver Metallic exterior and Black interior features a 4 Cylinder Engine with 192 HP at 5500 RPM*. This Accord Sedan is priced $400 below NADA Retail. Heated/Cooled Leather Seats, Navigation, Moonroof, Back-Up Camera, Premium Sound System, Heated Rear Seat, Aluminum Wheels, Turbo Charged, Clean Car Fax No Accident or Damage Reports, Local Trade, We Did A 182 Multi-Point Inspection, Balanced & Rotated Tires, 4-Wheel Alignment, Floor Mats, Originally Bought Here, Garage Kept, Call To Set Up Your Test Drive (859)779-1000. 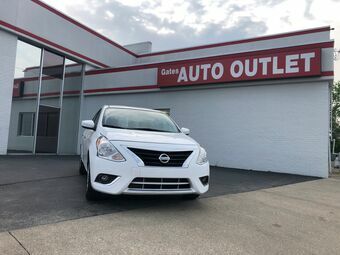 Clean Car Fax No Accident or Damage Reports, Local Trade, We Did A 182 Multi-Point Inspection, Balanced & Rotated Tires, 4-Wheel Alignment, Floor Mats, Originally Bought Here, Garage Kept, Call To Set Up Your Test Drive (859)779-1000. Leather Seats, Navigation, Sunroof, Heated Driver Seat, Heated Rear Seat, Cooled Driver Seat, Back-Up Camera, Turbocharged, Premium Sound System, Satellite Radio, iPod/MP3 Input, Onboard Communications System, Aluminum Wheels, Remote Engine Start, Dual Zone A/C MP3 Player, Keyless Entry, Steering Wheel Controls, Child Safety Locks, Electronic Stability Control. Honda Touring 2.0T with Platinum White Pearl exterior and Ivory interior features a 4 Cylinder Engine with 252 HP at 6500 RPM*. This Accord Sedan is priced $1,900 below NADA Retail.